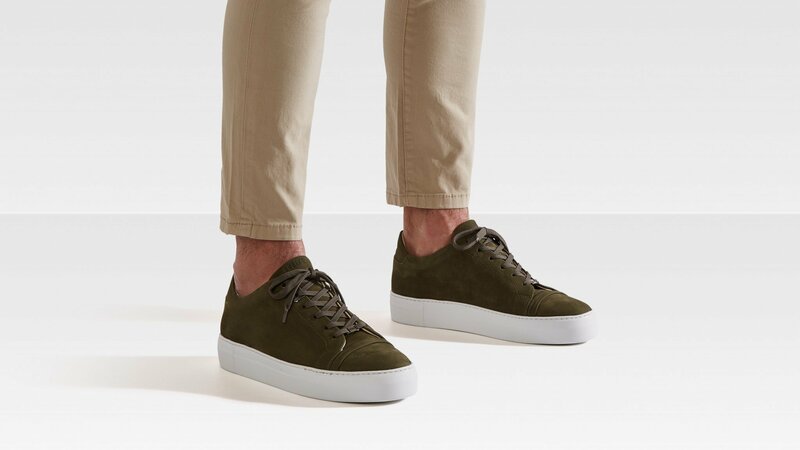 The Jagger Aspen Nubuck dark green trainers by Nubikk is a low dark green nubuck men's trainer, made of high-grade nubuck and an extra comfortable lightweight sole. 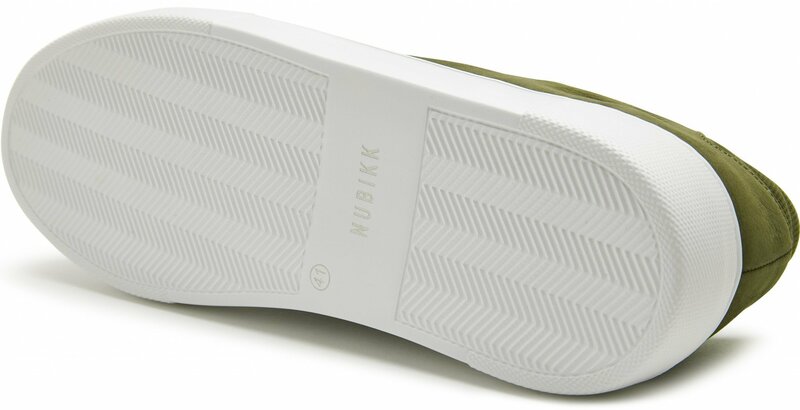 The Jagger Aspen Nubuck has only recently been part of the Nubikk family but is already a classic. The dark green trainers have a thick lightweight EVA sole and an extra comfortable insole with cushioning for optimal comfort. In addition, the Jagger Aspen has a very soft inner lining for extra comfort. 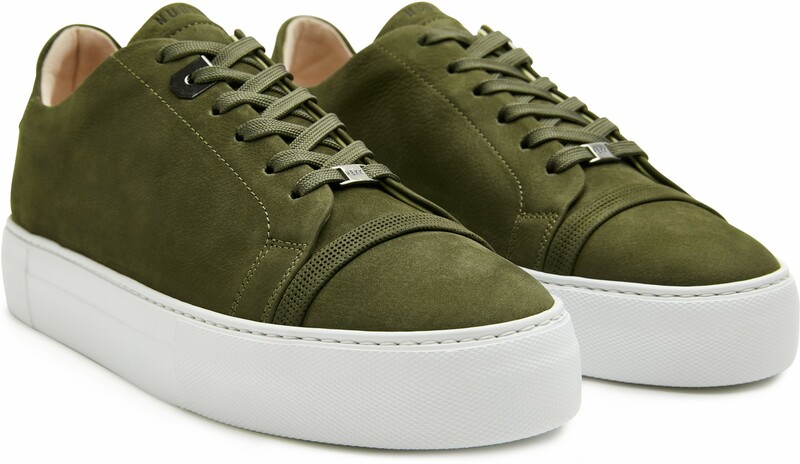 You can wear these any-occasion dark green trainers with any outfit, from day to night. The Jagger Aspen trainers are available in different color/material combinations including white leather, black leather, lt grey nubuck, dark green nubuck, and lt blue nubuck.